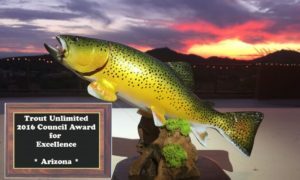 The Arizona Council and Chapter have been recognized the past two years. 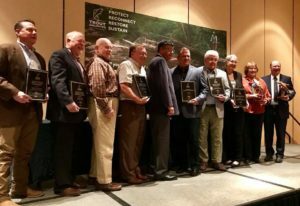 At the 2016 National Convention in Bozeman, MT the Arizona Council was recognized as Council of the year by Trout Unlimited National. 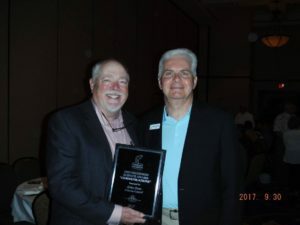 At the 2017 National Convention in Roanoke, VA John Doss was award the Distinguish Service Award for his work on Communication. 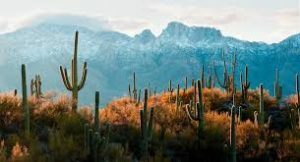 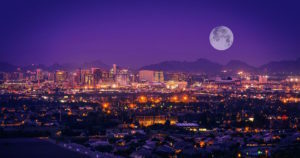 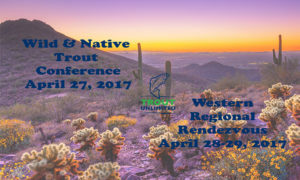 In 2017 Arizona was selected as the host for 2017 Western Region Rendezvous. 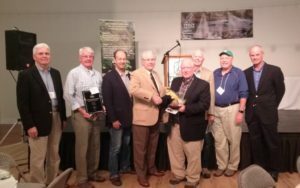 Alan Davis, David Mayl, Jim Walker and Tom Osterday put together a great event. 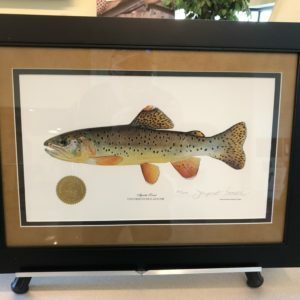 The event was not only the conference, but include other great activities like the Wild and Native Trout Conference and Arizona Bone fishing, were almost all participants were able have success.